Nowhere Safe is the first game out of a (so far) trilogy. A woman in modern Japan finds herself terrified of leaving the house as she struggles with her less than favorable past. When she finds a stranger staring into her living room window, she begins to struggle even more as she realizes that nowhere is safe. + The music was okay. Well, actually, it's more like psychology in general rather than the actual academic psychology. I only know about Intro to Psych, and nothing more. Still, it's one of my interests. 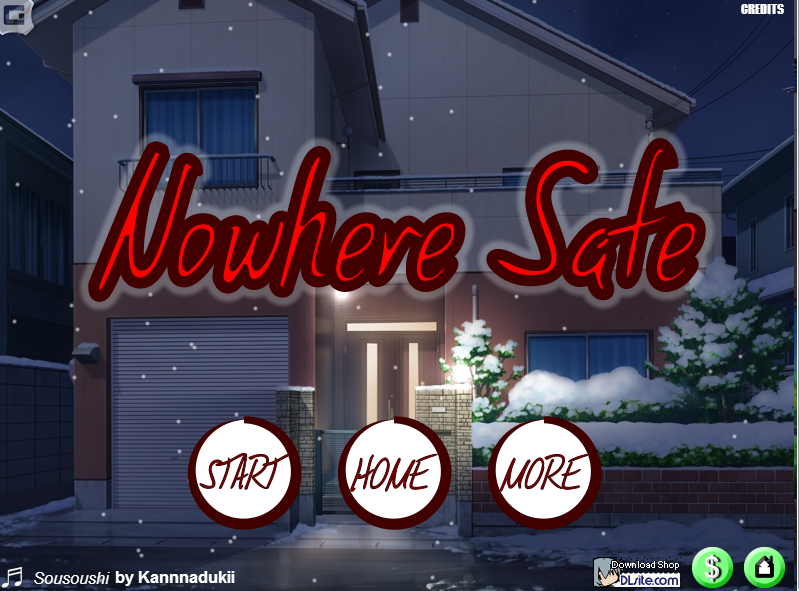 Nowhere Safe was listed as a psychological thriller type of game, so I was definitely intrigued. I've always been interested in this genre, you know, psychological stuff, crime stories, etc., so I had no qualms about trying out this game when I came across it online. I'm not exactly sure what to say here, though, because the characters were all pretty unlikable for me. It seemed like all of them have their own problems that actually didn't have much to do with the story. No, wait, scratch that. I like it when characters have flaws, problems, even, because it allows for a good character development to happen. But I don't like it when flaws exist just for the sake of it. 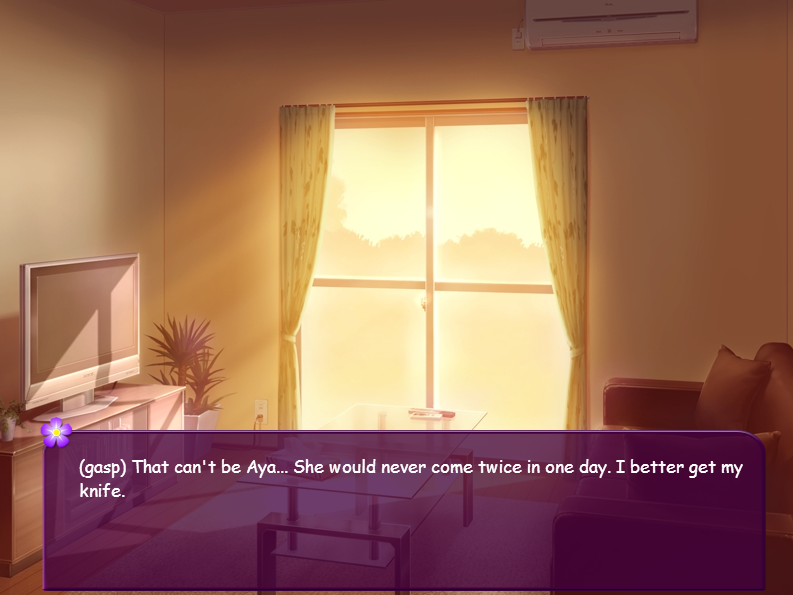 That's basically what I felt in this visual novel. First of all, I think the main character is nuts. Wait, maybe that's a fact, not an opinion. Yeah, she's definitely nuts. And by nuts, I means she's the kind of person that you probably wouldn't want to be acquainted with. She's actually suffering from a phobia where she can't go out of her house AT ALL, which is called Agoraphobia. But her phobia isn't the reason why you should have second thoughts about befriending her. It's her attitude. 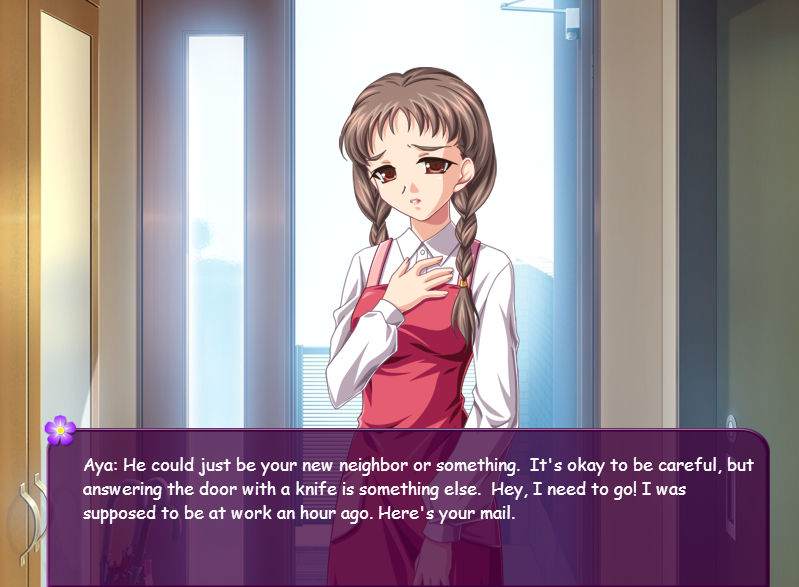 Her agoraphobia is basically the whole point of this visual novel, at first glance. She lives by herself and never goes out, not even for work, but she can get away with it because apparently, she got a large sum of money from a court case many years ago, when she exaggerated (read: outright lied) about a harassment incident that happened between her and her former boss. Oh, and she has this really supportive best friend (spoiler: who she dislikes) who does all her errands for her. Because she's nuts, that's why. Despite all the unfortunate events in Kimiko's life, her attitude is actually so bad that I found it hard to sympathize with her. Most of the time, she acts like a spoiled brat who blames others when things don't go according to plan. The whole story is weaved around her, about her phobia, about her relationships with others. This is my first issue, the first wasted potential. 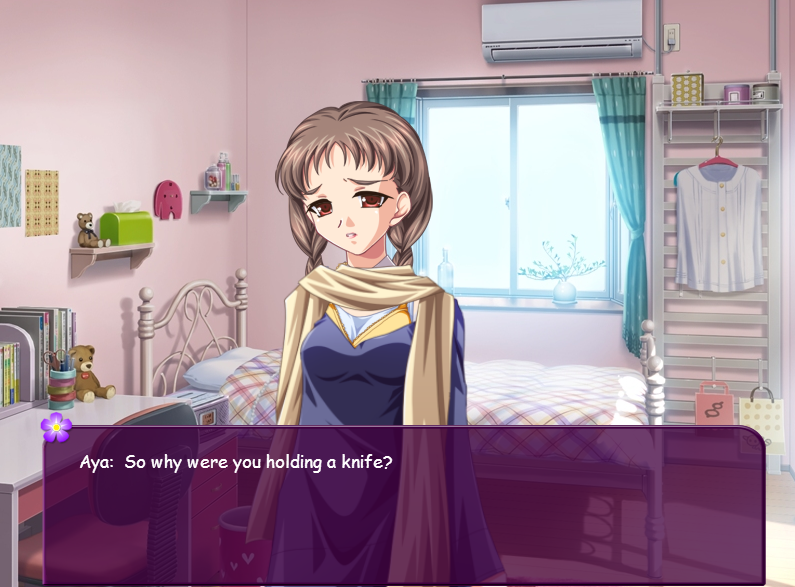 There could have been a more in-depth approach regarding her phobia, but it was pretty unsatisfying in this VN. The reason given for the said agoraphobia was also quite unclear to me. Apparently, [spoiler!] when she was younger, she had gotten a boycut and some friends (ahem, Aya), teased her about it. Which is the reason why she dislikes Aya and why she doesn't like going out. But... I thought just 6 years ago, she had a job, where her boss apparently hit on her? Eh, I'm confused. I told you, she's nuts. Another wasted potential (well, at least, as an otome writer, this is how I see it) is the relationship between agoraphobic Kimiko and domatophobic Kento. 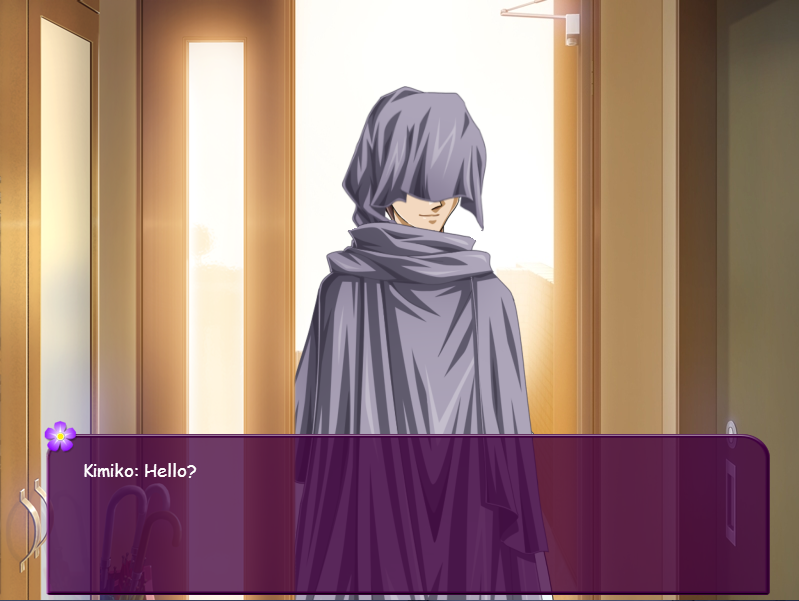 Since Kimiko cannot go outside and Kento cannot go inside, the two have "dates" in the doorway. Awww. The otome writer in me liked these scenes. Unfortunately, it was another wasted potential, as their relationship wasn't explored much outside of this. From the start, it was clear that Kento and Kimiko were meant to fall for each other, but the game doesn't really make us see why we should be rooting for the two of them. It just said so. Obviously I have issues with the plot. A lot of the times, subplots were thrown in (it seems) just for the heck of it. 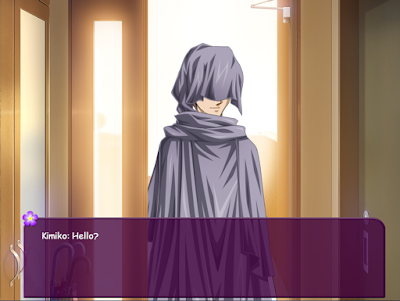 One example is the stalker subplot. All of a sudden, there's a stalker, stalking Kimiko. Kimiko, the girl who never goes outside her house. Come on. Apart from the story, the writing itself was pretty much okay. And by that, I mean the dialogues were nicely written, the characters were different individuals with different (but admittedly outrageous) personalities, and there were no noticeable grammar errors or typos that stood out too much to me. The soundtrack was also decent. Art-wise, well... it seems like stock art, but they're all nicely done, so I have no complaints. 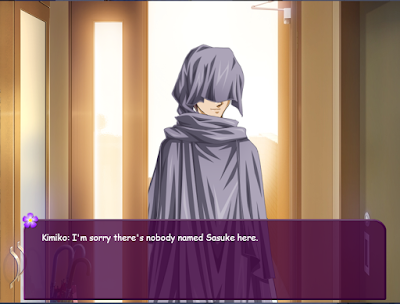 My only problem is that text box. Why, oh why is it purple?! I have nothing against purple, I just think it doesn't fit the game. Hahaha. Despite all the flaws in the storytelling though, Nowhere Safe still managed to capture my attention the whole time I was playing it. Sure, majority of the time I was simply asking myself why I was still playing it but I still played it. The game itself is actually pretty engaging, hence the "love-hate relationship" I have with it. Still, the main character's attitude and the logic behind the story are what bothers me the most, and those are kinda big things to overlook, don't you think? ...um. Why did you open the door before knowing who's outside first? Oh, by the way! I liked how part of the stalker guy was hidden behind the door. I wonder how Red Panda Games coded that? Hahaha. Just curious. 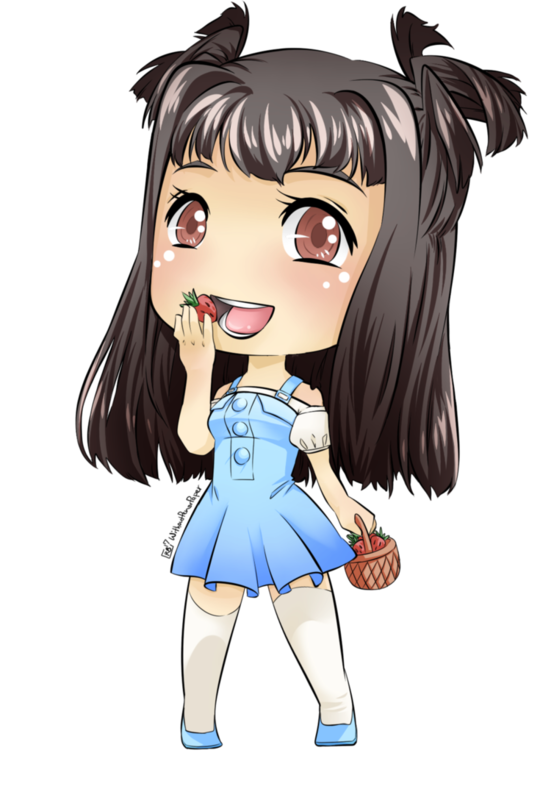 I'm gonna give it 5 out of 10 strawberries. I personally disliked how the game unfolded, but it wasn't such a bad read. Plus, I'd say it's quite interesting, despite all the wasted potential. It's too bad that the psychological themes weren't too explored, though. 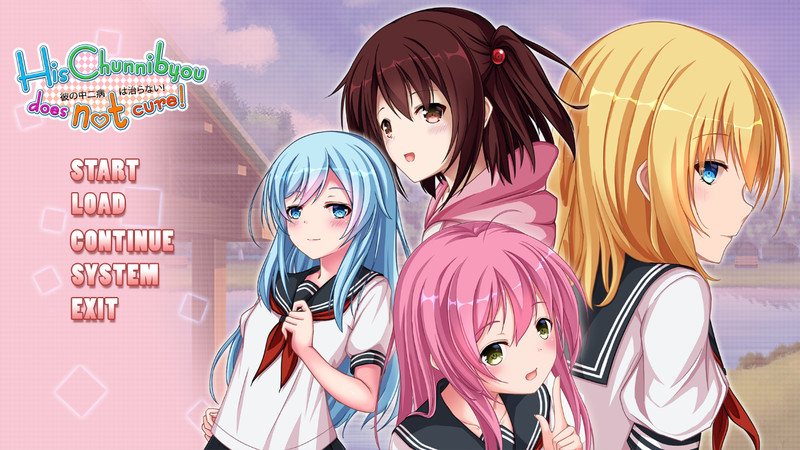 You can check out this game here!